France's Energy Transition for Green Growth Law promises to limit nuclear power’s contribution to 50 percent of France’s total electricity by 2025. Nuclear currently provides approximately 75% of France's electricity. France currently has one of the lowest prices for electricity among leading European economies. To fund its energy transition, the French Energy Regulator has already acknowledged that grid operators will be allowed to increase network usage fees, which currently account for a third of customers’ electricity bills. 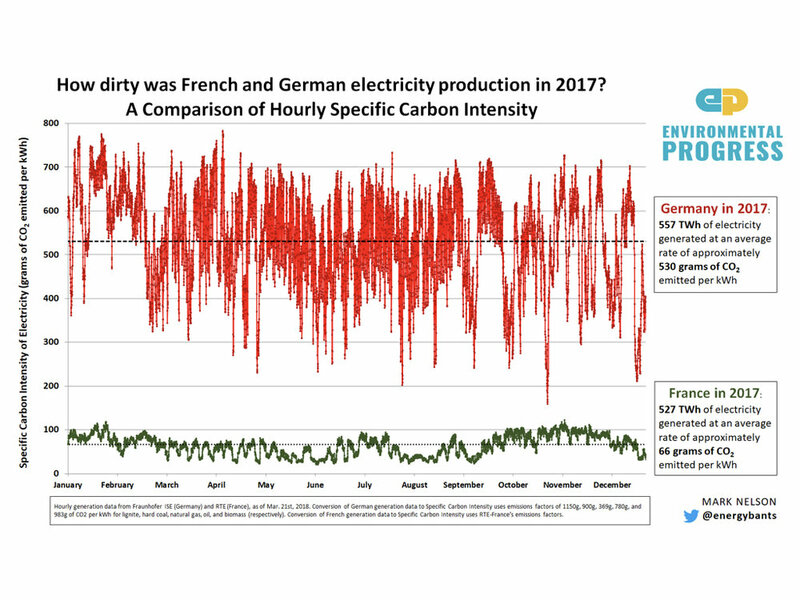 On average, Germany's electricity was 11 times dirtier than France's in 2018. France has cut a deal with EDF to require the closure of two reliable reactors in good condition at Fessenheim before fueling a new reactor at Flamanville. France exports nuclear electricity to Germany even when Germany’s renewables are producing lots of power, as Germany has insufficient internal electricity transmission capabilities to spread its renewable energy around the country. Should ‘extra’ French plants be closed, Germany’s own coal plants will directly replace this essential energy supply. France has spare reactor capacity today to fuel a fleet of millions of electric vehicles. 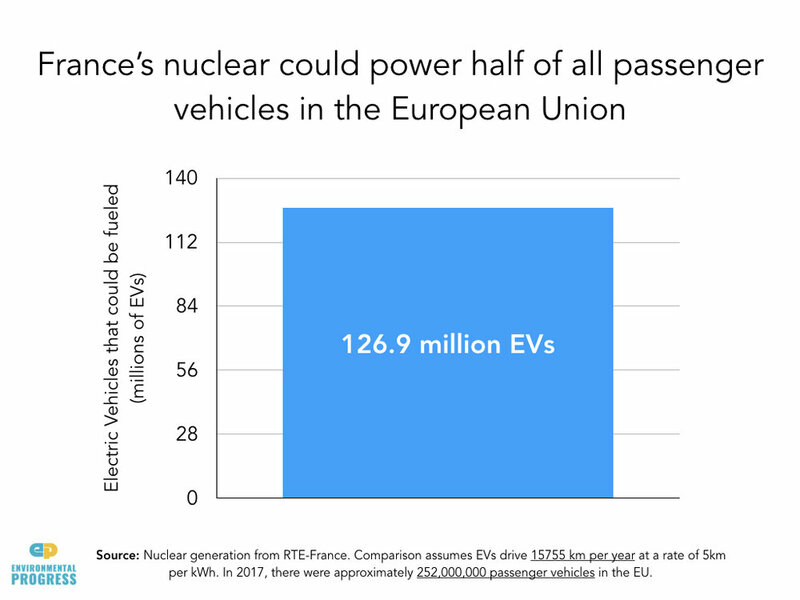 If France operated its nuclear plants as consistently as similar plants are operated in the U.S., it could produce the energy for 40 million EVs, emissions-free. Dozens of climate scientists and conservationists have urged President Emmanuel Macron to do everything in his power to protect France's nuclear industry and avoid reversing the country's progress on clean energy.